At times throughout Birds of the Air, the 2014 album from Irish punks So Cow (on Goner Records) would creep into mind, mainly due to the vocal tone/ delivery and the scrappy, yet playful guitar work scattered within. It’s difficult to decipher whether these lyrics are seriously mumbled to the point where they’re sounding like another language, or if they are actually in another language altogether. You can decide on that for yourself – it shouldn’t take too long to figure out. The EP begins with the belligerent punk chugger “Skin Deep,” featuring O’Shea’s deep throated howling over layers of blown out guitar. Track two “Paper Laced” is locked and loaded with a searing guitar solo toward the finish. It’s highly melodic and exploding with an aggressive edge, breaking everything down and laying us all to waste in the process. They keep things rough and rugged again during “In Dreams,” taking on a folksy, alt-country edge underneath the blown out complexion. “Asbury” hits hardest of them all with its straightforward, gunk-fueled warble. They take a moment to quiet things down and plan their attack, setting the table up nice and cleanly, only to bring it all down again with a crushing finish. Get an earful of their EP right below, and be sure to snag the free download while you have the chance. 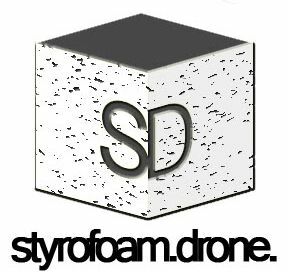 Posted on April 2, 2018 April 3, 2018 by styrofoamdronePosted in EP, ReviewsTagged alt-country, noise rock, post-punk.